A large bony protrusion on the side of the big toe is indicative of a condition that is referred to as a bunion. Foot pain may be a common symptom if a bunion exists, and it may be difficult to wear shoes. There are several reasons why bunions may develop. These may include a genetic disposition or a possible injury that has occurred to the foot. Research has shown that bunions are less common in non-western countries, and this may possibly be due to the type of footwear that is worn. Mild relief may be found while using a bunion pad, in addition to wearing shoes that do not cramp the toes. If you have developed a bunion, speak to a podiatrist who can offer advice on effective treatment options. If you are suffering from bunion pain, contact Dr. Catherine J. Minnick of Illinois. Our doctor can provide the care you need to keep you pain-free and on your feet. If you have any questions, please feel free to contact our offices located in Chicago, IL. We offer the newest diagnostic and treatment technologies for all your foot care needs. Athlete’s foot is a common foot condition that many people experience. It typically affects the area between the toes in addition to the bottom of the feet. There are several symptoms that are associated with this ailment. These may include redness, dry areas in the affected portions of skin, or extreme itchiness. This contagious fungal infection is generally found in public places, which may include community pools, shower room floors, and surrounding areas. Patients who have certain existing medical conditions may have an increased risk of getting athlete’s foot. These include a weak immune system, eczema, or certain allergies. Mild relief can be found while using an anti-fungal spray. For stubborn and severe cases of athlete’s foot, it is strongly suggested that you consult with a podiatrist who can properly treat your condition. Athlete’s foot is an inconvenient condition that can be easily reduced with the proper treatment. If you have any concerns about your feet and ankles, contact Dr. Catherine J. Minnick from Illinois. Our doctor will treat your foot and ankle needs. Wound care is an important part in dealing with diabetes. 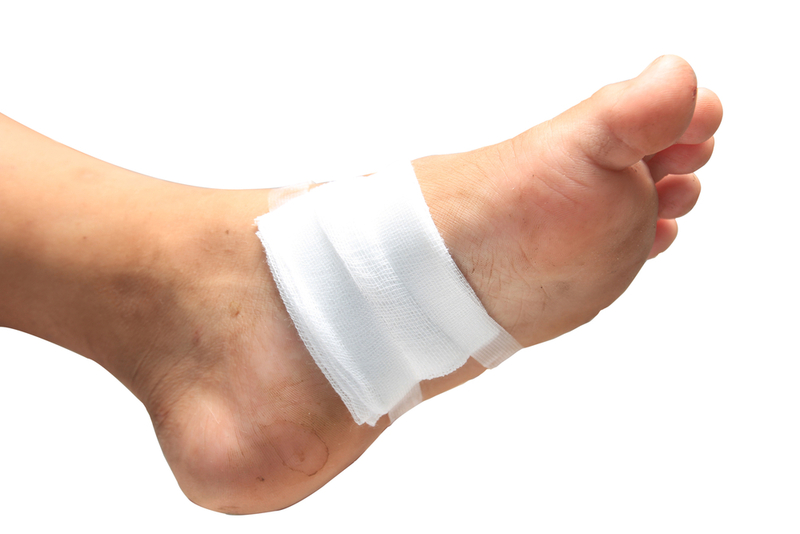 If you have diabetes and a foot wound or would like more information about wound care for diabetics, consult with Dr. Catherine J. Minnick from Illinois. Our doctor will assess your condition and provide you with quality foot and ankle treatment. 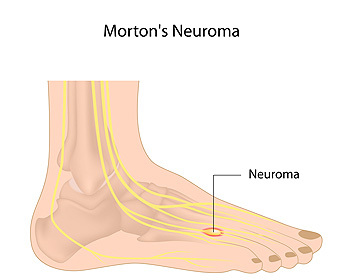 A swollen nerve in the foot may be indicative of a condition that is referred to as Morton’s neuroma. It is described as a growth of nerve tissue that exists between the third and fourth toes.This ailment may cause adjoining tendons and ligaments to put pressure on the nerve, which may cause inflammation and pain. Additional symptoms may include numbness or tingling, and some patients may experience a burning sensation. Pain and discomfort are often felt in the bottom of the foot, near the base of the third and fourth toes. There may be effective exercises that can be performed, which which may aid in improving strength in the arch of the foot. These may include stretching the lower leg, and the plantar fascia, which is the tissue that runs along the bottom of the foot. If you feel you have Morton’s neuroma, it is suggested that you schedule a consultation with a podiatrist who can guide you toward the proper treatment. Morton’s neuroma is a very uncomfortable condition to live with. If you think you have Morton’s neuroma, contact Dr. Catherine J. Minnick of Illinois. Our doctor will attend to all of your foot and ankle needs and answer any of your related questions.